Moist, open forests, especially along floodplains. A distinctive species, forming colonies by unique, long (to 2 m) tip-rooting stolons with reduced, reflexed leaf blades. The perigynia are hard-walled and number only ca. 3–8 per spike. First collected by S. P. Voice in Gogebic Co. in 1980. MICHIGAN FLORA ONLINE. A. A. Reznicek, E. G. Voss, & B. S. Walters. February 2011. University of Michigan. Web. 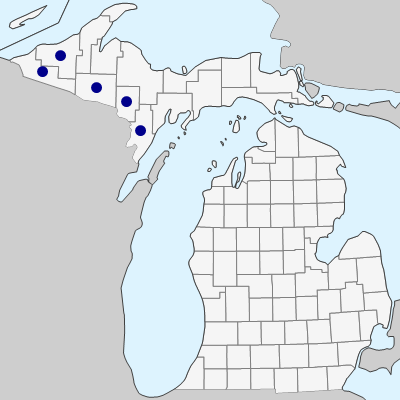 April 21, 2019. https://michiganflora.net/species.aspx?id=909.